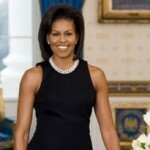 Much has been made in recent weeks about Michelle Obama’s well-toned arms. Some are even calling for her to cover up, saying it’s unbecoming of a first lady to show too much skin. But by exposing her biceps, Michelle is sending a powerful message—and we ought to listen.